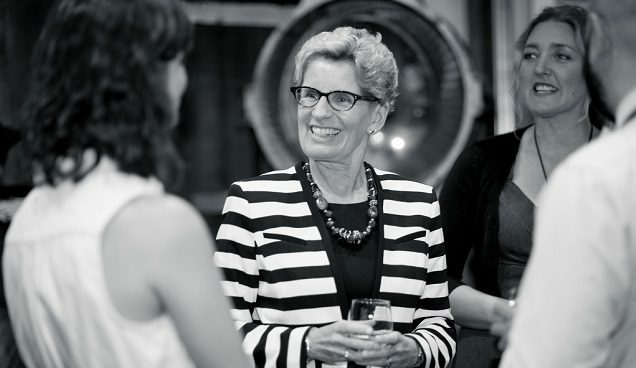 Kathleen Wynne is taking the Liberals down? Say it ain’t so. 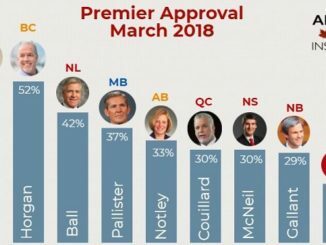 Look, we’ve known for a while that Wynne is the least popular premier in Ontario but what makes this latest poll from DART Insight, backed by my old friend John Wright, so interesting, is that the full extent of the fall of Ontario’s Liberals is laid bare. Even in Toronto. From the top line numbers. 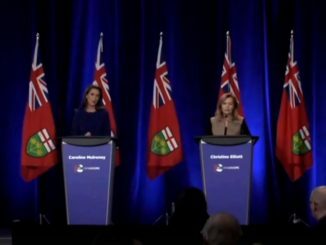 So in the middle of Patrick Brown’s on again, off again leadership run, in the midst of the chaos that is the Ontario PC leadership race, the people of Ontario overwhelming say they would rather have the disorganized PCs run the province than Wynne’s Liberals. I’m sure it’s just sexism or something. Watch for an explanation in The Red Star, I mean Toronto Star, soon. But as I said, this poll shows that the rot in Ontario Liberal support is deep. DART’s regional numbers show that even in the core of Toronto the Liberals are in third at 22% support behind the NDP at 31% and the PCs at 36%. That is in downtown Toronto. 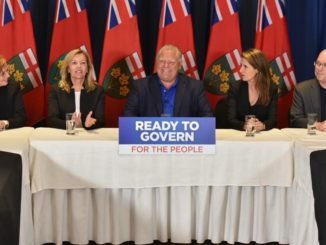 In the rest of the province the PCs lead in most regions with a high of 53% support in the GTA 905 region to 41% support in Southwestern Ontario. Northern Ontario is the outlier with the NDP leading there with 40% support, the PCs at 27% and the Liberals at 14%. What all of these numbers say is that if an election were held now, or if these numbers hold, the Liberals are looking at a third place finish, watching the NDP pass them to go on to official opposition status and a sizable PC majority come June 7. My Granddaughter lost her term in college along with many other students because wynn let the strike run for 5 weeks, the students when they went back had to go to classes on weekends and had no time to study what was being rammed into them in class and no time to rest. Those with jobs had to give them up as no time for condensed classes and work to. Does she think those students will vote for her knowing it could happen again to others. She doesn’t care about those students that she is trying to brainwash. She say old white people and forgets, she is an old white people too, do those students really believe their parents and grandparents are evil old white people, actually she is afraid of them as they have common sense and know the value of a dollar. They are the ones that vote with common sense and experience.